It’s no news that I love anything chicken; roasted, baked, fried or boiled, bring it and I will be all over it. 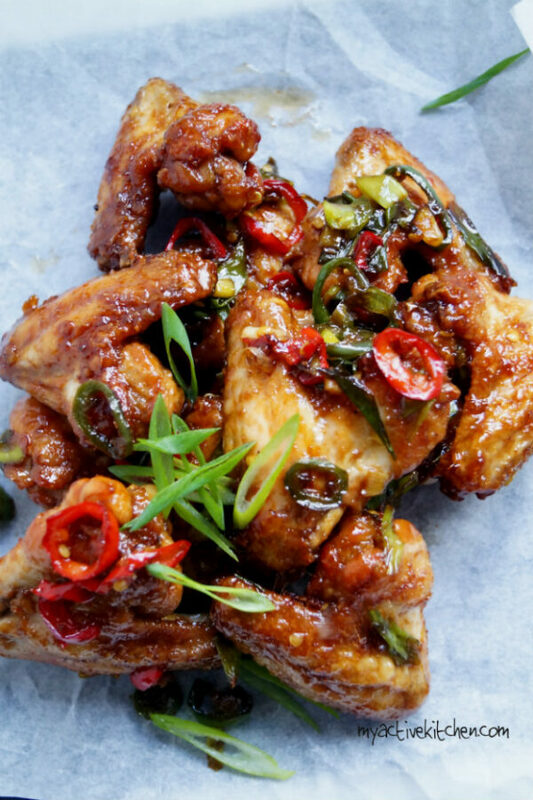 This finger-licking Nigerian chicken wings will give your Chinese takeaway a good run for their money. Honestly, I’m not blowing my own trumpet here but it’s that good. 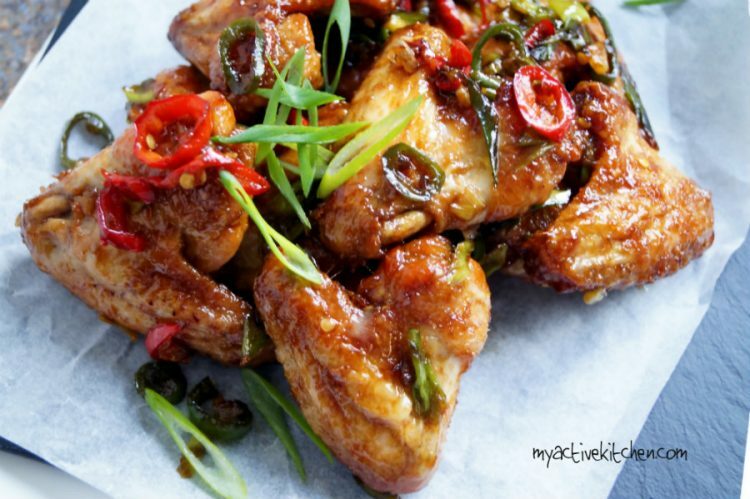 These chicken wings are a crowd pleaser and it will be gone in minutes. 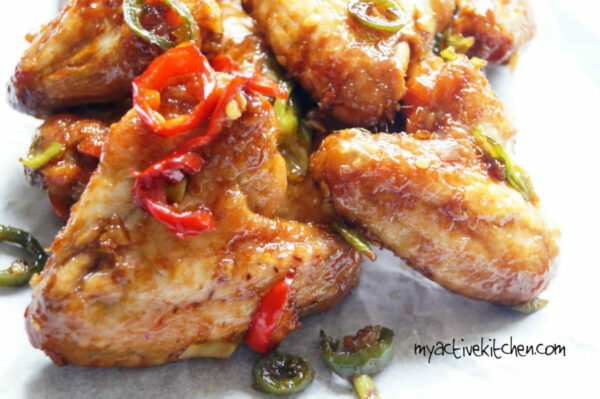 It is crispy, spicy, sticky and sweet. The plus side is that the sauce is made with one of Nigeria’s most loved refreshing drink. 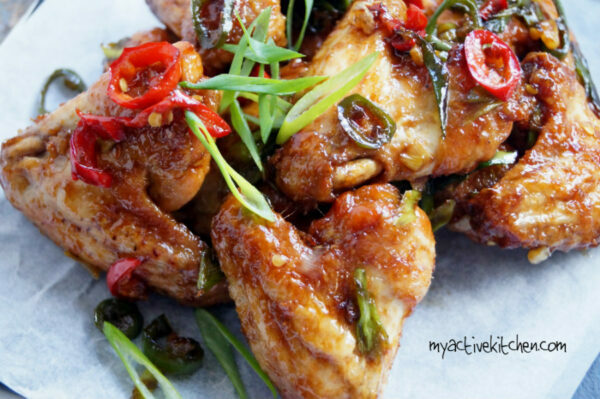 Malt drinks are loved by all especially when chilled but for this crispy chicken wings recipe, you will need to boil it till it is reduced to syrup in addition to one of my other loved ingredient – coconut milk. The malt and coconut syrup was just something I paired together a while ago when I was testing some recipes and I didn’t regret trying it at all. My test kitchen was a happy place after I made this malt and coconut sauce, especially when smothered in this crispy chicken wings. I tell you, these Nigerian chicken wings are an absolute delight and you can bet, it will be gone in minutes. It is so tempting and delicious. You will want to eat it all on your own, ok before you start drooling and thinking all about it, let’s get cooking the sauce first and prep the chicken wings. 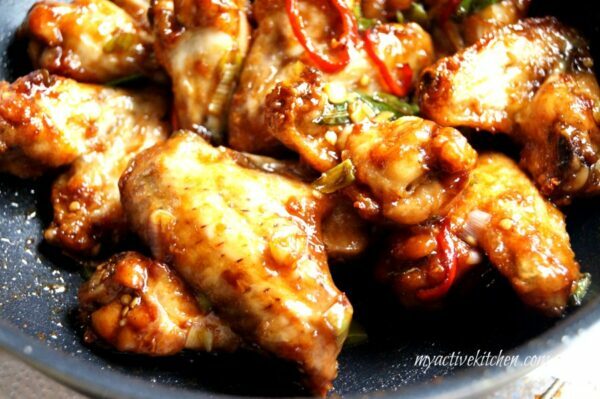 Wash and pat chicken wings dry, add ginger, garlic, salt and seasoning and mix together till well combined (make sure it is well seasoned). Leave to rest in the fridge for a minimum of 2 hours or overnight preferably. You can make the sauce ahead and keep on the fridge. Add the chicken to a Ziploc bag, add the all purpose and corn flour and mix together till the chicken wings are well coated. You can add more flour if needed. Add chicken wings to a baking tray making sure they are not touching. Bake in the oven for 15 minutes. Place a wok on medium heat, add vegetable oil and heat for 2 minutes. Add the chopped chillies and spring onions and stir fry for another 2-3 minutes. 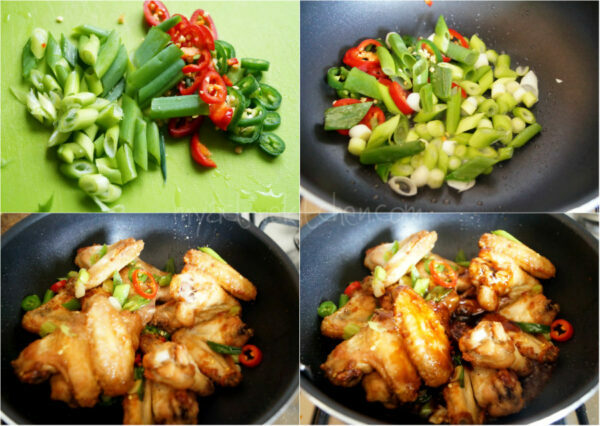 Add the baked wings and toss till well coated with the chillies. After 3 minutes, add the malt/coconut syrup to the chicken and stir till well coated. Hi Ajoke, I tried out this today, frying the chicken as against baking as you prescribed. My partner says this is his best Sunday! Thanks to myactivekitchen! Yay happy days. thanks for the feedback and regards to the boss. hello Joke can i fry instead of baking? hello joke can i fry it instead of baking? 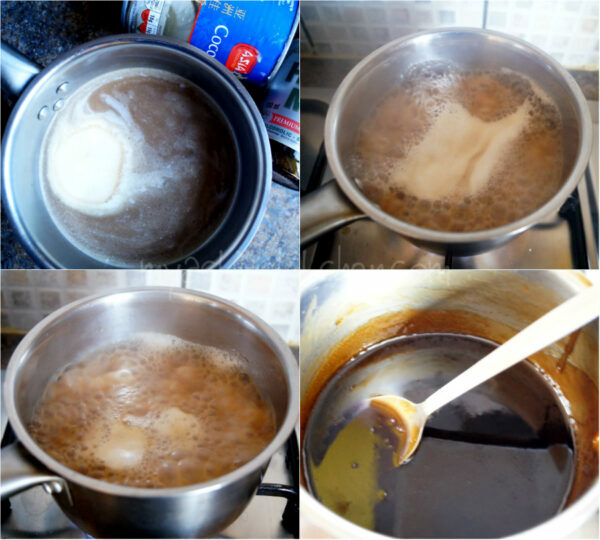 I used evaporated milk instead of coconut milk (boiling the malt alone didn’t give the desired syrup). The taste of the boiled malt and milk is sinful… Hahahaha! I Googled cooking malt with chicken and found this! Looking for something interesting for easter lunch and I know some people do stuff with coca cola and chicken. I am so doing this, but I don’t have coconut milk at home. Can I do without? Or maybe substitute with yoghurt? Hi Zephyr, Hope you enjoyed making and eating the chicken wings. I know this might be coming late, you can do without the coconut milk and I will also try with yoghurt the next I make some too. Kindly leave a feedback and thanks for stopping by.